Tre Cool is the stage name of American drummer, Frank Edwin Wright III. He was born in Frankfurt, Germany on 9 December, 1972. His father was an American helicopter pilot during the Vietnam War. He is best known for being the drummer in the punk rock band, Green Day. Here is a brief look at the Tre Cool faux hawk haircut. The faux hawk is a variation on the traditional punk haircut known as a Mohawk. The difference is that one shaves the sides of the head cleanly with a Mohawk while some hair is left on the sides with a Mohawk lookalike. The hair is simply cut shorter than the strip down the center of the head. In the Wright version of this style, the sides are left about an inch long while the center is approximately two to three inches in length and spiked so that it stands up in the center. Styling this hairdo takes some effort on his part. He must use gel to provide adequate hold to keep the hair at the center standing up properly. The sides are combed down and lie flat on their own. The style does not need to be refreshed during the course of a day because the gel is very stiff and remains in place. There are many different versions of the Mohawk that have been worn by many different celebrities. 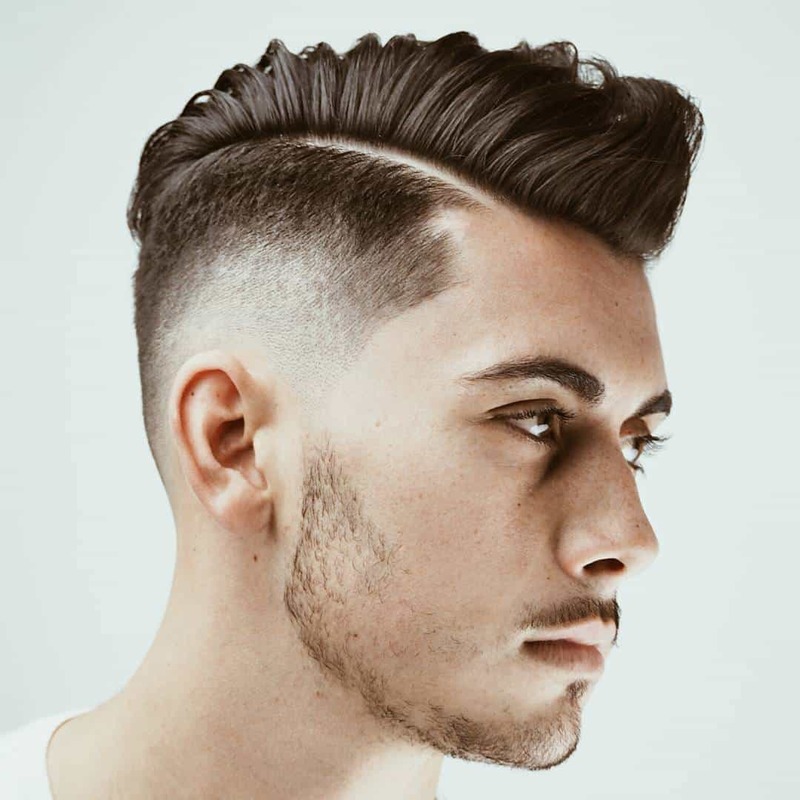 Most are somewhat tamer than the Tre Cool faux hawk hairstyle, meaning they are not as tall in the central section as a general rule. His is one of the most extreme seen. While this style is somewhat tamer than a true Mohawk, there is no doubt that it is appropriate for a member of a punk band such as the well known drummer of Green Day. Hey, screw you dude. I’m assuming you aren’t a Green Day fan, because that is their drummer. Take your douchey attitude somewhere else, ‘kay? “If you don’t like Tré Cool, or Green Day- then just get outta here! Don’t freaking bash on others. If you don’t like them, then just keep it to yourself. SO DON’T COMMENT ON THINGS YOU DON’T LIKE!”- Go on something else. Keep it to yourself. “I [email protected] Punk Chick. Btw I think that that The haircut looks just adorable on Tré.<3<3<3<3^_^ And It's a unique style. But thts just my opinion."